Believe you have heard the controversy about Apple’s iPhone 6s and iPhone 6s Plus use two different versions of processor in the recent, Samsung’s14nm and TSMC’s 16nm A9 chip. The fact is that the TSCM-built A9 appears to be more power efficient than its Samsung counterpart. Obviously Samsung’s advanced 14nm process did not achieve superiority, but at the disadvantage in power consumption. Many users have posted their test scores on Reddit, under the same settings, usage, the battery life of TSMC model nearly two hours long than Samsung’s. Although Apple has responded in earlier today, he claimed, the battery test from the private sector does not really reflect the actual usage. They concluded that after the test, the two versions gap only 2% -3%, which in the normal range. 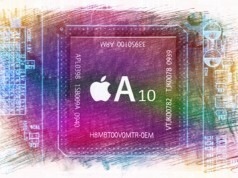 Apple also advise the user do not get too tangled about the different processors, because both exactly the same structure. With the Apple-designed A9 chip in your iPhone 6s or iPhone 6s Plus, you are getting the most advanced smartphone chip in the world. Every chip we ship meets Apple’s highest standards for providing incredible performance and deliver great battery life, regardless of iPhone 6s capacity, color, or model. Certain manufactured lab tests which run the processors with a continuous heavy workload until the battery depletes are not representative of real-world usage, since they spend an unrealistic amount of time at the highest CPU performance state. It’s a misleading way to measure real-world battery life. 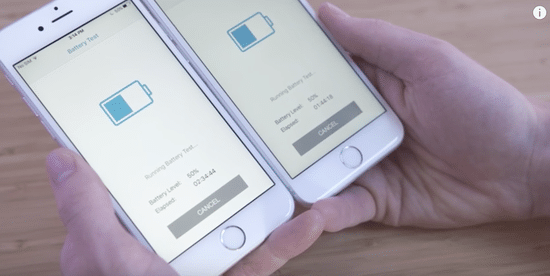 Our testing and customer data show the actual battery life of the iPhone 6s and iPhone 6s Plus, even taking into account variable component differences, vary within just 2-3% of each other. Nevertheless, I believe that there are still many iPhone users heart is not practical, and brooding on this matter. 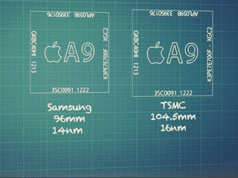 Of course, according to the old way you can disassemble your iPhone 6s to see the serial number printed on the A9 processor, APL0898 is Samsung foundry, APL1022 to TSMC foundry. However, not everyone has this ability, so we posted a few simple steps, let me show you how to check if your iPhone 6s has TSMC or Samsung chip. 3) If model is N66AP or N71AP, sorry, you’ve got a Samsung chip. If model is N66MAP or N71MAP you’ve got TSMC. 1) Launch Battery Memory System Status Monitor on your device. 2) Tap on the button labeled System at the top of the screen. As an example, Sébastien’s device runs a Samsung-made A9 processor, as designated by the device ID of “N71AP”. Good luck with that, boss! If you have a Mac, you can check your device info using the iMazing app, which offers a powerful alternative to iTunes’ syncing features. This is the sketchiest way to check your chip info because it uses an unsigned program developed by Hiraku Jira. 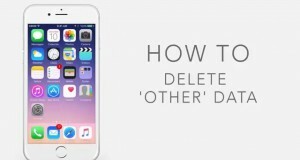 We can’t vouch for it, even though we did try it on our iPhone 6s and it didn’t blow up. It’s super-easy to use, but proceed at your own risk. 1) Open the CPU Identifier website on your iPhone 6s. 6) Open CPU Identifier and it will show you your A9 chipmaker. 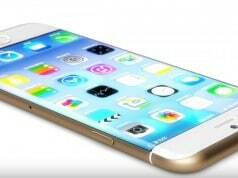 ‘iPhone Edge’ May Feature Dual Curved-edge Display and Wireless Charging?